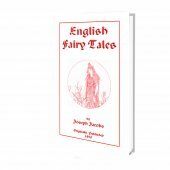 13 unique South African folk tales and folklore. 33% of the net profit will be donated to Oliver's House in Benoni, East Rand, South Africa. 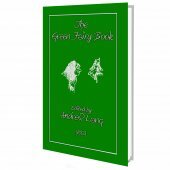 In this volume you will find thirteen uniquely South African folk tales. 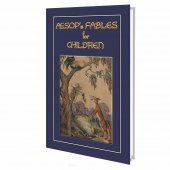 Stories of Why the Baboon has that Kink in his Tail, Why Old Jackal Danced the War-Dance, When the Birds would choose a King (also known as Tink Tinkie), Why the White Owl only Flies at Night, Why Little Hare has such a Short Tail and many more. 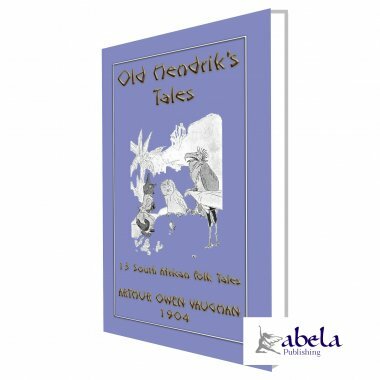 In the days before the many languages of South Africa were first recorded and written, these are stories that were used by the Sangomas (medicine women) and the Umxoxi Wendaba (Umzozi Wendaaba - story tellers) to teach their children the moral lessons of life and orally pass their knowledge on to the next generation. So gather around the campfire and share the many stories in this book to the delight of young and old alike. Laugh at the stories and laugh even harder at the illustrations by J. A. Shepherd. Then when the hour grows late, when sparks from the camp fire have stopped ascending into the black night and young heads and eyelids have grown heavy; when the dying fire is making long shadows dance across the veld, close the book with the promise that Old Hendrik will tell another African story on another day. To help young readers understand some of the African words and terminology, we have also included a lexicon with phonetic pronunciations and translations of the words to make it easier for the young ones to sound out and understand these words. The pigs had been very troublesome all the morning, almost destroying the gate of the garden in their efforts to get at the tempting show within. It was in reward for the help of the children in driving the marauders away that Old Hendrik yielded at last to a question of Annies and told them another tale. But you never told us, Ou Ta, said the little girl, what Old Jackal did for something to eat in the rinderpest time, after he crossed the drift in the pumpkin. What did he do? Well, replied the old Hottentot, scratching his head, I tole you what he didnt dohe didnt hoe. An Ill tell you now dat, whatever he is do, its a-gun to be sometin skellum. O course, he hatto do sometin to eat, now de games all dead o de rinderpest, an he hatto do it quick an lively too. So he go raungin round, an he trot dis way an he trot dat way, an de ony chance he can see at all is at a farm where deres some pigs. Dese yere pigs was all de time a-sneakin into de lands, an a-rootin up de crops, an de farmer hed chase em out wid a long ox-whip till he nearly bust, an den hed stand an mop his face an swear what hes a-gun to do wid dem pigs if he dont get somedy to look ahter em soon. O course, if Ou Jackalse had a-bin Ou Wolf hed a-gone right up an ax for de yob hissef, straight out, an de ting ud be done an no more about it. But he wahnt: he was yust Ou Jackalse, an he done Jackalsehe plan. De nex time de man chase de pigs, Ou Jackalse wait till dey gets into a leetle grass-pan, an den he try to drive em off furder. But de man hed seen him a-stalkin, an he run along wid his whip an fetch a cut so near his tail dat Ou Jackalse near yump out troo his eyeholes, an he fair light out fm dere into some sugar cane an hide. Well, dar he sit an dar he tink an study till hes added it all up, an den he ses it out in once. Ill hatto get Ou Wolf here, ses he, breakin off a piece o sugar cane an bitin on it. I reckon dats what Ill hatto do; den Ill get dem pigs a right. Well, off he go, an he come to de river side an shout for Ou Wolf. Bynby Ou Wolf come an stand on de oder bank, and Ou Jackalse make like he yust is sprise to see de look on him. Why, whats de matter wid you? ses he. You does look mighty bad. I dont, ses Ou Wolf out straight. I feel yust dat good an fat I wish dere was buck to hunt, even if I didnt ketch none. Dont you blieve it, ses Ou Jackalse, mighty concerned. You yust looks goodn bad. You take an look at you eyes; deyre all red an yalla, like yous in a terrble state. An look at de skin under your yaws, an den at de hair on de top o you head, an youll see straight off how bad you is. Well, Ou Jackalse speak dat seious dat Ou Wolf try to look where Ou Jackalse tell him. But he didn had no lookin-glass, an he try to look widout one. An he look dat cross-eyed, tryin to see wid his one eye into his toder eye, dat he fair loose all de skin along bofe sides his ribses an stiffen his tail right flop up wid de pull in tryin. An when he see dat his eyes cahnt see into one anoder, he gin to tink if he aint a bit bad ahter all. Den he try to see de skin under his yaws, and he twist an he snake till he fair stan on his head an scratch de airan yet he cahnt get a look at it. Dat make him feel he aint a-feelin well at all. But when he try to xamine de hair on de top of his head, he get dat desprit he fair trow a double back somerset an land hissef clean into de muddy river, an when hes crawled onto a rock an stood a bit he makes up his min dat dere aint no two ways about ithes feelin bad. Whatll I ha to do for it? ses he to Ou Jackalse, cause Ou Jackalse is King Lions doctor. Well, ses Ou Jackalse, you see what it is. It comes o you eatin ony dese yere bessie berries an punkin; an punkins is mighty bad widout some meat wid em. Youll hatto yust eat meat for a while, dats what youll hatto do; an Is sorry for dat, cause Is yust found out where dere is some, an dere aint harly mo dan enough for me. But, bein as it is, an bein as its you, I spose Ill hatto share wid you now, you an me bein such ole chummies. A right den; if I has to do it I has to, so come on across an well get it done, ses he. Ou Wolf he tink by jimminy Ou Jackalse is yust about de decentis chap hes seen for a long time. Its mighty good o you to do it, ses he; an I aint a-gun to forget it needer. Den he plunk into de drift an come out on de bank. Wheres dis yere meat at? ses he. Well, ses Ou Jackalse, lookin kind o far away over his shoulder, its a dis way. Over on de yonder side dat spruit deres a farm where dey has some pigs, an dese yere pigs is makin a terrble trouble, rootin up de mealie lands, an de sugar cane, an de water-millons; an de baas he says he want somedy to look ahter em. You should hear him swear to dat Well now, you go an take de yob o mindin em. Den you drive em down to de spruit to look ahter em, an Ill be dere, an well see what we do nex. Right-o! ses Ou Wolf, an off he go. Well, he gets de yob. Mind now an keep you eye open for a Jackalse dere is someres about, ses de man. I seen him aready havin a try for em. Oh, Ill be a-lookin out for darie Jackalse, ses Ou Wolf. Is seen him mysef aready, an he aint a-gun to get de best o me, ses he. So Ou Wolf he drives de pigses down to de spruit, an dars Ou Jackalse a-waitin him. What we gotto do nex? ses he. Ou Jackalse he stop chewin on de piece o sugar cane an he laugh right out. Ill show you, ses he. Now well yust drive de pigs into de donga here, an well ketch em an cut off all deir tailses; every last one o dem. Well, dey done it, an mighty hard work on sich a hot day too; an Ou Wolf notice every now an agen dat hes doin most o de work an Ou Jackalse doin mighty little but de bossin. But he dont say nawtin yet, cause he feel hell yust hatto get cured. An what do we do wid dese yere tails now? ses he when dey finis. See dat mud hole? ses Ou Jackalse. Well, you stick de tails all about in de mud, wid deir little curls a-curlin in de air. Do dat now. Ou Wolf he done it. An whats de nex ting? ses he. Well, de nex ting is one ting, but deres anoder ting afore dat, ses Ou Jackalse. De nex ting is for you to go an tell de man dat de wilde-honde come an chase de pigs till dey run em plunk-clunk right into de mud hole, an dar dey all is, head down an dead down, smodered, wid ony deir little curly tailses a-stickin out. Dats de nex ting, but de ting afore dat is dis way. De man hell sayWhy didn you pull em out? An youll say you tried to an come mighty near bein smoder yoursef. Den hell sayWheres de mud on you? Anwell, dere you is, where is dat mud? ses Ou Jackalse, an he look mighty business like. Den I hatto daub myself wid mud? ses Ou Wolf, like hes tinkin weder he will or not. Daub yoursef? ses Ou Jackalse. Daub aint no sort o word for it. Yous fair got to roll in it, an squirm in it, till you look like you come so near bein smodered dat dere wahnt no fun in it at all. But Ill hep you, ses he. Here you is now, an over you goes, an fore Ou Wolf knows whats a-happenin, Ou Jackalse lands in his ribses, biff! head first an wollop he go, smack into de mud.